There are very few adrenaline rushes as brilliant as flying with a fighter pilot. Twisting, turning and rolling in the skies in an ex-military training plane, you'll be able to experience first hand the elegance of these fantastic aircraft. Accompanied by an ex-military instructor, you'll be in safe hands as you take to the controls and have a go yourself! 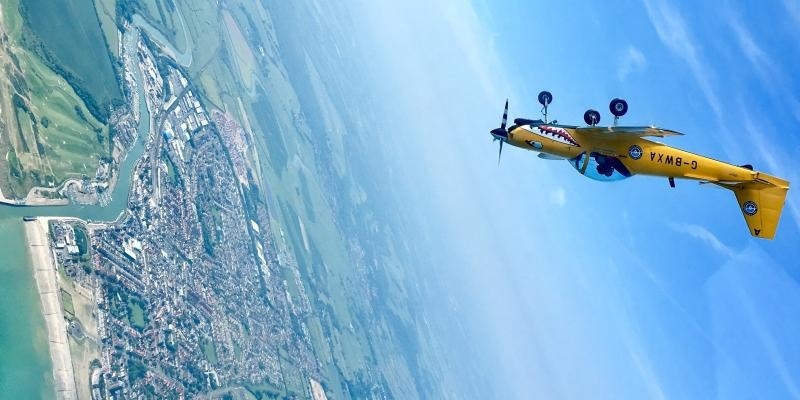 Once you have arrived and been welcomed to the West Sussex aerobatics centre on your weekday flight you will be provided with refreshments whilst fitting your Top Gun style flying suit. 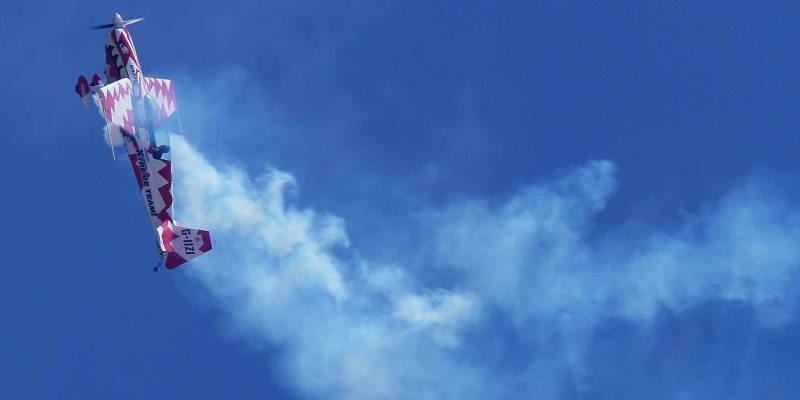 You will then receive a full pre-flight briefing which includes all safety and parachute procedures before a basic lesson on how to perform aerobatic stunts! An ex-military instructor is on hand for one- to-one discussion's to explain how extreme your experience is going to be. Now for the all important flight! Once in the skies your instructor will go through the aerobatic manoeuvres you are going to try, including the techniques required to execute these correctly. Now its your turn to take the controls and attempt these incredible stunts! Feel the G-force as you try loop the loops, barrel rolls and many more. Then its back to base for a personal de-brief with your pilot, including the number of G pulled and a signed flight certificate for you to keep! 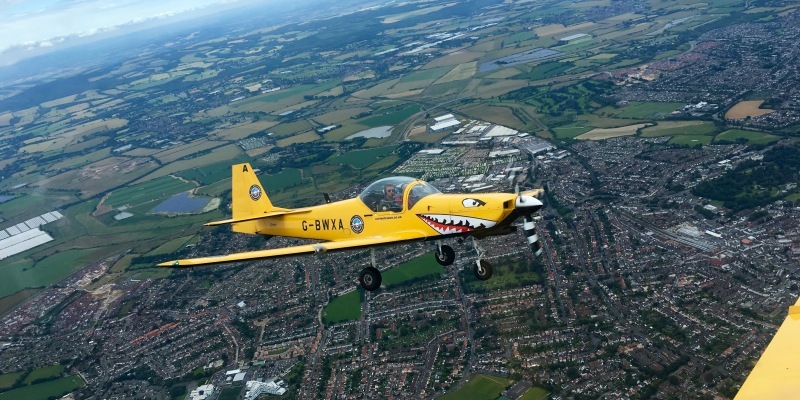 There really is nothing quite like performing tricks and twists in these incredible aircraft, and in the company of an experienced instructor you will be at ease as you take to the controls yourself in this unforgettable experience! Flights are available all year round, excluding Sundays and Bank Holidays. You can purchase a video of your flight for an additional £49. The weight limit for the Fly With A Fighter Pilot at Goodwood Aerodrome is 17 stone. Anyone aged 71 or over would require a doctors note. Please allow 2-3 hours for the Goodwood Aerodrome Experience. You will spend approximately 35 minutes flying. 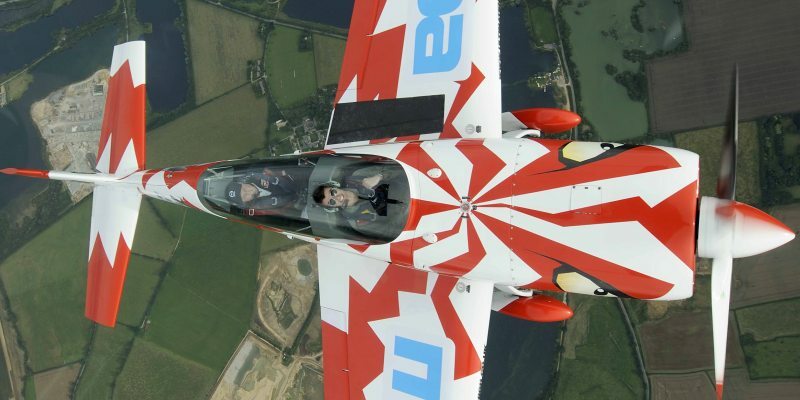 Participants: The Fly With A Fighter Pilot at Goodwood Aerodrome - Weekday is for 1 participant. The Fly With A Fighter Pilot at Goodwood Aerodrome Weekday Experience is for one participant. Spectators are welcome and may watch from an on-site Cafe with balcony. However, please note that only 1 spectator per participant can be accommodated in the crew room during the briefing. Please wear comfortable clothing for the Fighter Pilot Experience. Sensible, flat footwear is essential. The Fly With A Fighter Pilot at Goodwood Aerodrome Experience may be affected by weather conditions. As a birthday gift in 2013 my family bought me this experience. I've rock climbed, ridden motorbikes, scuba dived, enjoyed extreme skiing, flown a Cessna etc but this surpassed it all. The description is spot on and exactly what you get. The instructor will fly at the limit you are comfortable with and it's truly exhilarating doing the manoeuvres yourself, it's worth pushing to the planes limits - you'll never do it again! I had not taken the controls of an areoplane for 43 years. Te instructor Rob was very patient with me and let me take-off. He went through each manoevre with me and let me try. Although I felt queezy after the loop-the-loop I can say that the whole experience was fantastic. Even as a cadet-pilot 43 years agoo, I had never done aerobatic flying before so almost everything was a new experience. I loved it. I was very impressed with the experience. The service was very professional and the staff clearly knew what they were doing. In addition, all took place in an organised fashion and on time. A really great experience. The instructors push as far as you want to go. You can have an easy going flight performing some of the basic maneuvers, or you can really go for it and find out what these planes are really capable of! Brilliant day, excellent instruction, awesome fun! From the smile on my partners face when they landed, I think he had the best experience ever. The staff were very friendly and made sure he was fully aware of everything that was going to happen. Nitro was an excellent instructor. I would love to do it again with out a doubt. My boyfriend was the one who flew and he absolutely loved it! Said it was one the best experiences of his lives! The pilot he flew with was brilliant and really helped his nerves. When can I book my Fly with a Fighter Pilot Experience? How long does the Fly with a Fighter Pilot Experience last for? The Fighter Pilot Flying Experience at Goodwood will take around 2 to 3 hours in total with roughly 35 minutes of actual flying time. Hello Flights are available all year round, excluding Sundays and Bank Holidays. 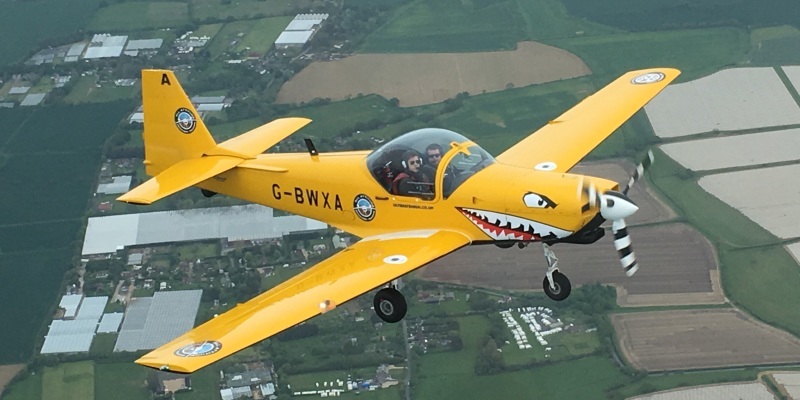 However, The Fly With A Fighter Pilot at Goodwood Aerodrome Experience may be affected by weather conditions.If this happens on a date you have booked, we will always allow you to get the flight as promised, even if the voucher has expired. Is there any age restrictions for Fly With A Fighter Pilot at Goodwood Aerodrome? Customers are sent a waiver to sign and there it will include medical questions that can be filled in by your doctor.